Yufan Qin’s thesis explores negative peer communication of companies on social media and its impact on organization-public relationships. Gainesville, Fla — The Institute for Public Relations has awarded Yufan Qin, a recent graduate of the University of Florida, the 2018 Makovsky Best Master’s Thesis of the Year Award based on her work studying negative peer communication of companies on social media and its impact on organization-public relationships. Thanks to the sponsorship of the award by Makovsky, an integrated communications firm, headquartered in New York City with a global reach in 30 countries, the award annually celebrates a master’s thesis that most contributes to advancing research-based knowledge in the field of public relations. Qin’s thesis examined how publics’ negative peer communication (NPC) about companies on social media could influence the quality of organization-public relationships through the theoretical lens of socialization and social learning theory. This study is one of the first to examine negative social media engagement and its impact on organization-public relationships. Public relations practitioners can gain insights on how to develop operational strategies on social media and establish positive relationships with publics by avoiding potential factors that can bring about negative peer communication on social media. Qin will receive a cash grant of $2,000 and Dr. Rita Men, Qin’s faculty advisor, will receive $1,000 at the IPR Annual Distinguished Lecture and Awards Dinner on November 28 in New York City. “Yufan Qin’s thesis stands out as a strong contribution to the profession and an advancement in research where a gap existed. Makovsky is proud to have its name associated with her standard-setting work,” said Ken Makovsky, President. Established in 1981, this award honors a winning master’s thesis that focuses on the development of research-based knowledge in the field of public relations, and the degree to which the research is relevant or has an impact on the profession. This is the first year the award has been given since 2010 thanks to a new sponsorship by Makovsky to recognize and encourage graduate study and scholarship in public relations. Founded in 1979, Makovsky (www.makovsky.com) is one of the nation’s largest and most influential independent integrated communications firms. The firm attributes its success to its original vision: that the Power of Specialized Thinking™ is the best way to build reputation, sales and fair valuation for a client. 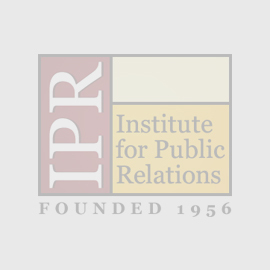 Based in New York City and Washington, D.C, the firm has agency partners with nearly 2,000 professionals in 30 countries through IPREX (IPREX.com), the second largest worldwide public relations agency partnership, of which Makovsky is the founder.